The brown dirt has been weeded and is now ready for the fertilizer application, then the water and THEN the potatoes and garlic. Or so goes tomorrow’s plan. At this point there are no other appointments. These starts didn’t get finished today. 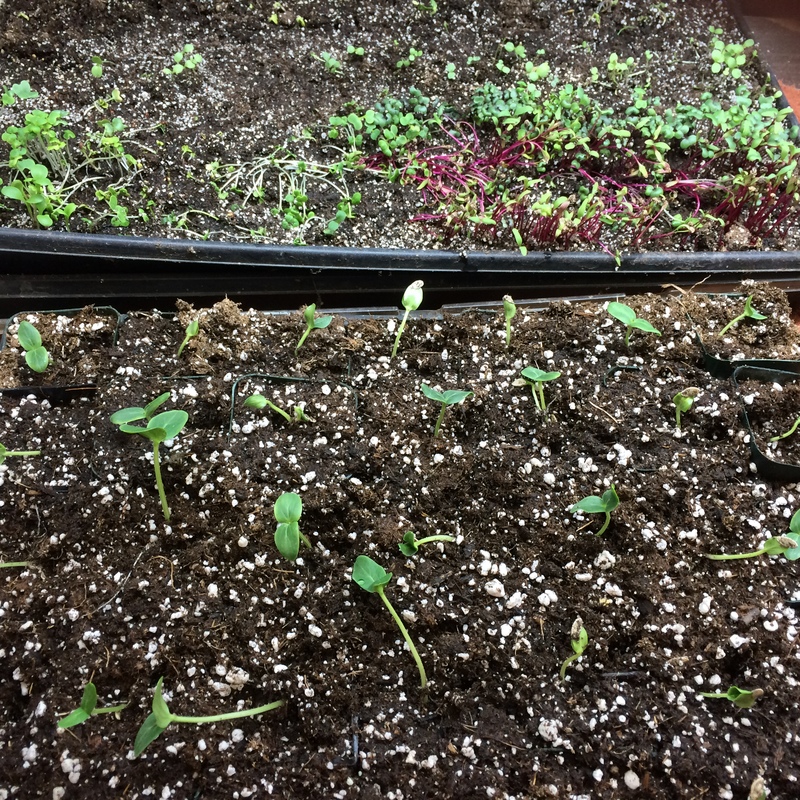 As you can see, only the cucumbers have been planted into 2″ pots. The others should get transplanted before noon. Though somehow, my plans often get rearranged. Update: Ava is getting along famously with all the other sheep and dogs. It’s going as smoothly as if she has always been here.